The Impossible Burger arrived with plenty of buzz. As one of the two biggest names (along with Beyond Burger) in the new wave of “bleeding” plant-based hamburgers, Impossible came with the added talking point of “heme,” which the company cited as the magic ingredient that made their burgers taste more like meat. 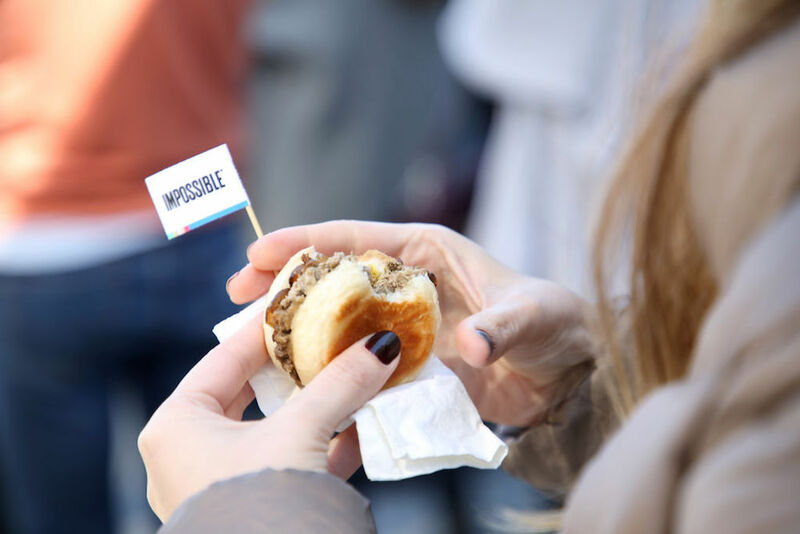 But over the past two years, Impossible has had another, subtler trick up its sleeve: The brand has only offered its burgers in restaurants. Debuting at David Chang’s Momofuku Nishi in July 2016, and continuing to avoid retail since, Impossible Burger has forced interested consumers to seek the product out. But today, Impossible Foods—the company behind the Impossible Burger—has announced that the days of only being able to find their burgers in restaurants is about to end: Expect the plant-based burgers to hit grocery stores in 2019. Unfortunately for those who are ready to fire up their grill, Impossible Foods said it “is not providing additional details of its retail launch at this time.” But it’s not like the Impossible Burger isn’t ready for the bigtime. Production is currently at the point where the brand says its burgers and sliders can be found in about 5,000 restaurants nationwide, and the company claims to have sold over 13 million burgers since its aforementioned 2016 launch. That said, what’s yet to be seen is exactly how far reaching this initial retail launch will be. Are we talking select specialty stores or are we talking Walmarts nationwide? Sounds like we’ll be finding out soon enough.